It’s our first week of the No Reynold Club on Survivor: Caramoan – 2 Legit 2 Quit, and the remaining members of the Edamame tribe are really starting to show the strain of the game. Eddie sees the writing on the wall, as the last remaining male fan and Uno Amigo he’s likely the next to go. Unless, of course, he can hook up with another girl, expose her to the Curse of Donkeylips, and watch her be sent off to Ponderosa. But would he hook up with an old chick like Sherri or a mom with a bottom retainer like Dawn? “Gross” he no doubt says to himself upon considering his options. Brenda? “Too into pig brains,” he likely reasons. So a reunion with Team Bro – Spring Break in Caramoan, y’all – is what Eddie expects to come shortly. Cochran is also beginning to see the writing on the wall. Except this scribbling says that he now might be the biggest threat to win, that despite Erik’s abs and Eddie’s lisp lips he’s the alpha male on the island, and as such the bullseye might now be on his back. Dawn, to her credit, hasn’t cried in a…oh, no, wait, here come the waterworks, never mind. Erik, on the other hand, clearly hasn’t recovered from the diabetic shock he experienced after devouring those chocolate glaze donuts last week, and he’s beginning to hallucinate, stuck in some kind of vivid fever dream, a mysterious voyage. 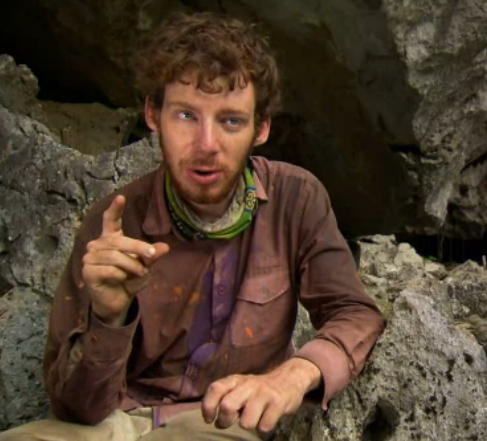 Or perhaps, to teach Erik a lesson about voluntarily bowing out of challenges, Jeff Probst laced the pastries with some peyote. Either way, he’s seeing things. 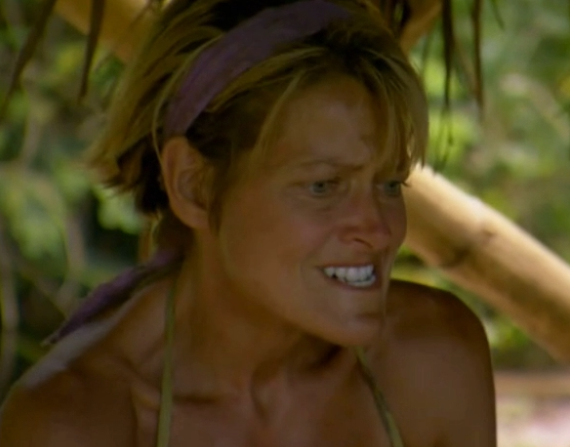 On Survivor, such as in life, if you don’t learn from the past then you’re doomed to repeat it. We see this time and time again, as if to illustrate to young, aspiring players what not to do, teaching us lessons while we watch from our couches. Don’t get involved romantically, don’t go home with an Idol in your pocket, don’t throw challenges. Watch, observe, absorb, and if something doesn’t work, don’t try it again. However, while the power of history is strong, it is no match for hubris; it cannot outlast, outwit, or outplay the person who believes that they can go right where others have gone wrong. Last week on Survivor: Caramoan – Fans vs. Favorites 2 Legit 2 Quit, Corinne believed that she could turn the game on its head, upend her alliance and install herself as new Queen of the island. But, even with the numbers already in hand, she got too confident, too sure, and talked too much. She flew too close to the sun and not only were her wings burned, so was her blue bikini. She had the opportunity to make a gigantic move, but overreached, talked to Dawn, and became the author of her own demise. Hopefully, one would think, that the other players would take notice and not commit the same mistakes. However, this is Survivor. History repeats itself. But, thankfully, in oh so different and mind-blowing ways. Continue: Bro down or bro, down? 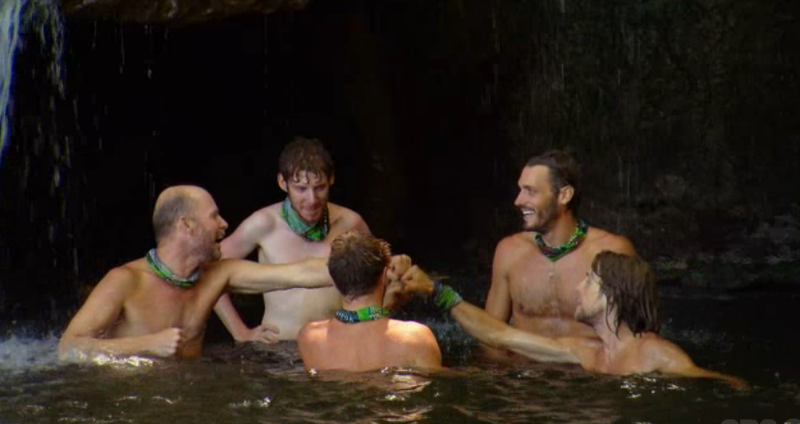 One of the great paradoxes in Survivor – an element of the game that makes this show truly fantastic and always enjoyable – is that to make it far you must build a strong alliance with a numbers advantage, but a strong alliance that has the numbers almost always means that the alliance will need to turn on itself at some point, often times the weaker members taking out the strong. In many ways, you’re penalized for playing the game too well. If you form an alliance that is too strong, too large, you may wind up eating you own tail. 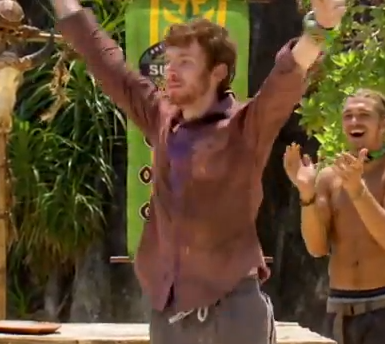 And frequently, this happens just after the merge, which is why this junction in the Survivor: Caramoan – Fans vs. Favorites 2 Legit 2 Quit is so critical. It could be the last chance to dump some dead weight – or a significant threat – before getting too deep. With some players on the outs looking to get back in and other Survivors feeling vulnerable in their alliance, this is the time when loyalties shift, and when the permutations sometimes feel endless. This is why you can watch this show for twenty-three seasons and still see something new. However, before we get to a merge the BeKool tribe, still not sure if actually voted out some person named Julia or just busted the myth of her existence, returns to camp from Tribal Council and Stealth ‘R’ Us CEO Former Federal Agent(?) Fillip immediately calls a board meeting. “Conference room, now!” Stepping into his executive chambers (a completely visible space four feet from the shelter), Fill clings to the tall tale he spun to Cochran last week, explaining to S’R’U Senior VPs Dawn and Corinne that he deliberately threw the Immunity Challenge in order to vote off that person who may or may not have existed (Gulia was it?). Of course, Dawn and Corinne know this is an absolute lie that Fillip absolutely believes, and, through some feat of herculean strength, play along with FFAF’s delusion. But they know that he’s living in a fantasy world, and Corinne is starting to find it really embarrassing.